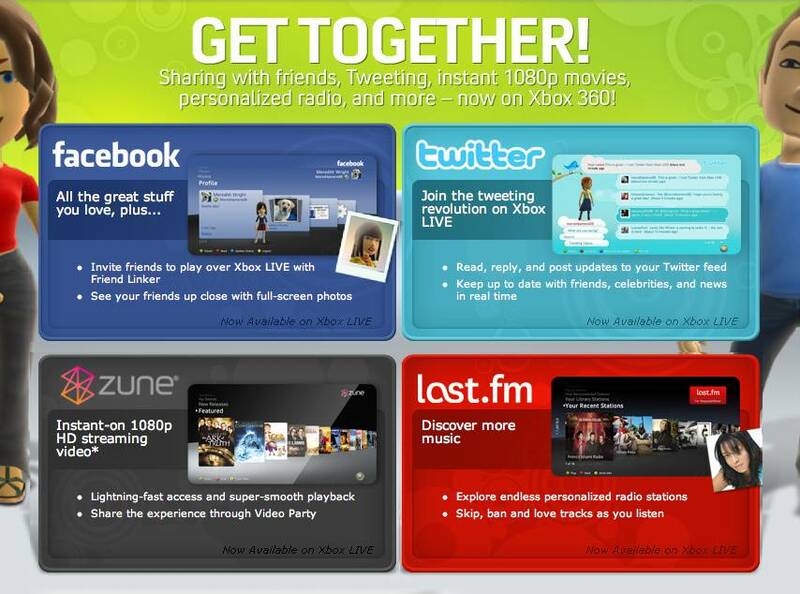 Facebook and Xbox LIVE join forces to connect you with your friends on the largest entertainment and gaming network on TV and the largest social site on the Web. Share real-time status updates and photos with your friends, as well as your favorite gaming moments from your television to Facebook. 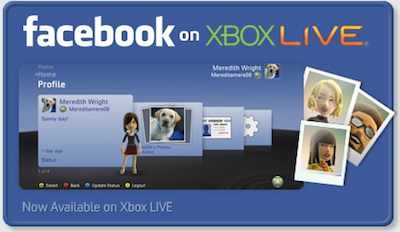 Take bragging rights to a completely new level by sharing updates to Facebook on your achievements and success in upcoming games available on Xbox 360. So gird your loins, people, for now it’ll be easier than ever to let your friends know that you spend more time than you really ought to shooting twelve year olds in Modern Warfare 2 (trust me, it happens). But that’s not all, with this update comes a few other, more interesting things as well. The last two new features that come with the update are an updated video marketplace (now heavily tied in with the Microsoft Zune) as well as Last.fm support. The video marketplace now supports instant**** streaming of 1080p video content (****so long as you have all of the capable equipment). I might have to try this out just for funsies. Like with Netflix, you can party up and watch movies together, which is also pretty cool. And finally, if you’re unfamiliar with Last.fm, it’s essentially a site for online radio where you can find new music, similar to Pandora. This is actually the feature that excites me most out of the rest. There is plenty of time that I listen to music on my consoles while doing other things, and this will add a great radio option to the mix. I have actually never used the service, so I can’t really attest to its greatness or otherwise, but I am excited to use it. And those are the four pillars of Microsoft’s fall update for the Xbox 360. You can find more information here. 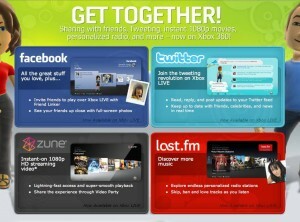 The images posted here are owned by Microsoft. I’m writing this so they do not sue the hell out of me.